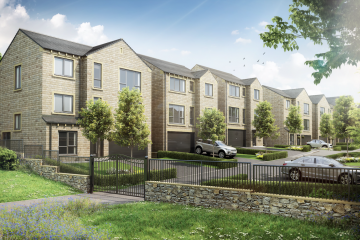 The company’s acclaimed Pennine Gardens project in the village of Upperthong has recently been named Residential Development of the Year at the 2018 Yorkshire Property Industry Awards. The development was split into two separate phases, the first consisting of 15 shared ownership two and three-bedroom cottages aimed specifically at local first time buyers. 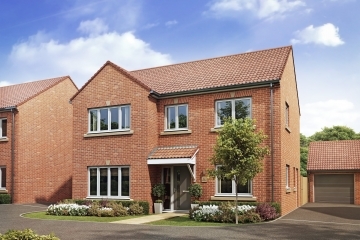 The second phase was made up of 12 four bedroom detached homes, available for private sale, with 100 per cent sales prior to completion. And to mark the success of the project and its commitment to the communities it serves, Conroy Brook is donating £100 of shopping vouchers which will be raffled at the Upperthong School Support Group’s annual Christmas Fayre, which will be held on Friday November 30, from 6pm to 8pm. “We take our place in the communities we work with extremely seriously as we believe we are building not just houses but also encouraging growth and development,” said Conroy Brook Sales Director Jon Bailey.